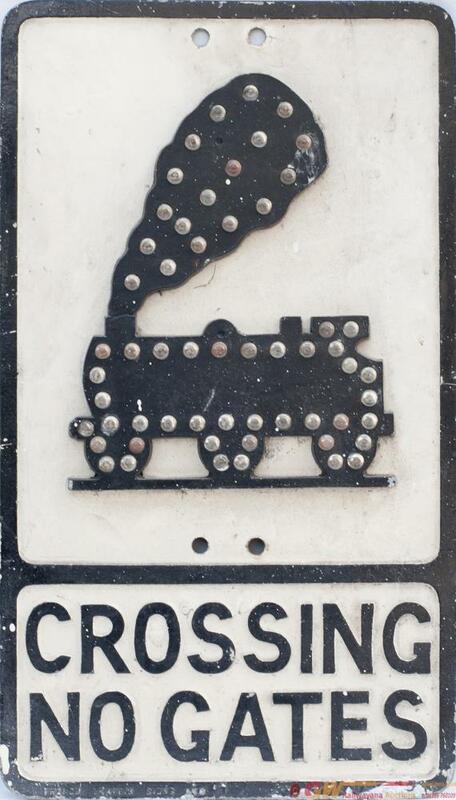 Cast aluminium road sign CROSSING NO GATES 0-6-0 engine, with makers name Franco Traffic Signs Ltd on the bottom edge. Complete with all glass bead reflectors. In original condition and measures 21in x 12in.